Just like any business, you’re building up mountains of data every month, and when you spend the time to analyse that data it reveals a telling story about your business. In turn, this allows you to make tweaks here and there and even avoid disasters once in awhile. You know just how valuable this data is to your running your business, now imagine if every department in your organisation had access to data that was 1. Easy to understand, 2. Completely customisable, and 3. Gave them valuable insight into the rest of the business. Whether you are a technology company or not, it doesn’t matter, you can have an app that can give you all that. 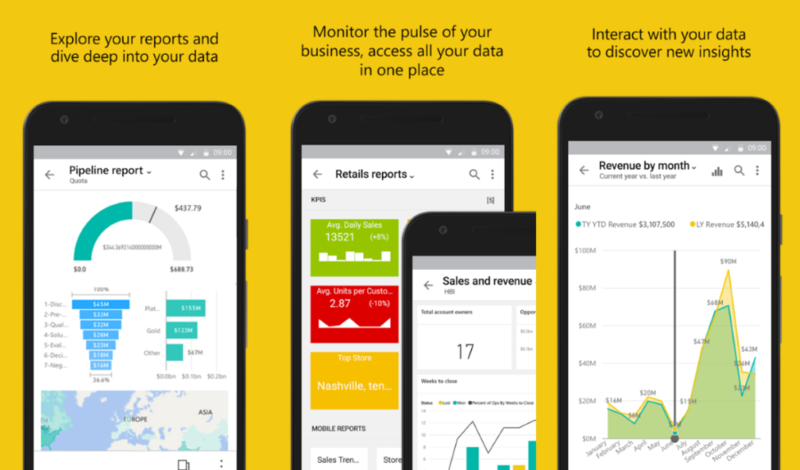 Microsoft’s Power BI apps has made it simple for businesses to create apps that allow someone to author dashboard and reporting content that can easily be shared internally. Using Power BI apps means you don’t have to start from scratch either, it pre-creates the apps which are then ready for you to use. However, you can completely customise the way your data is displayed and only show certain information to certain users. Before you think this excludes you, let us clear up that you don’t have to be a developer to make full use of Power BI apps. These apps were designed for business users, and with their needs in mind. The creator of the apps, or the author, can predefine apps for use within the organisation – which each business user could potentially further customise so that the information structure fully suits their needs. If you’re wondering how this differs from your normal shared dashboards, it is in the fact that it can be a collection of different sets of information (from all over the business) displayed in one convenient place. Which brings us to why it can be so valuable for your business. As an author you could create a different app for specific areas of your department, such as for marketing. Marketing has particular needs, datawise, so it would make sense to pull information into the app such as website statistics from Google Analytics, campaign data from Facebook and other social media, and then also bring into the mix the relevant sales information. This makes for a valuable source of information for your marketing department, packaged in a way that is accessible and useful to them. In another scenario, you could use that same sales information to better understand merchandising; bring together data from sales, store allocation, product allocation and supply chain information, to make more informed decisions from the buyers’ perspective. Not only can these apps connect your entire business on a data level, they enable mobility and ease of access to this shared information while keeping it secure and unexposed (while remaining useful!). If you want to understand more about how Power BI apps could work for your business, contact me directly at richard@emagination.co.za or leave your details below and we will contact you.